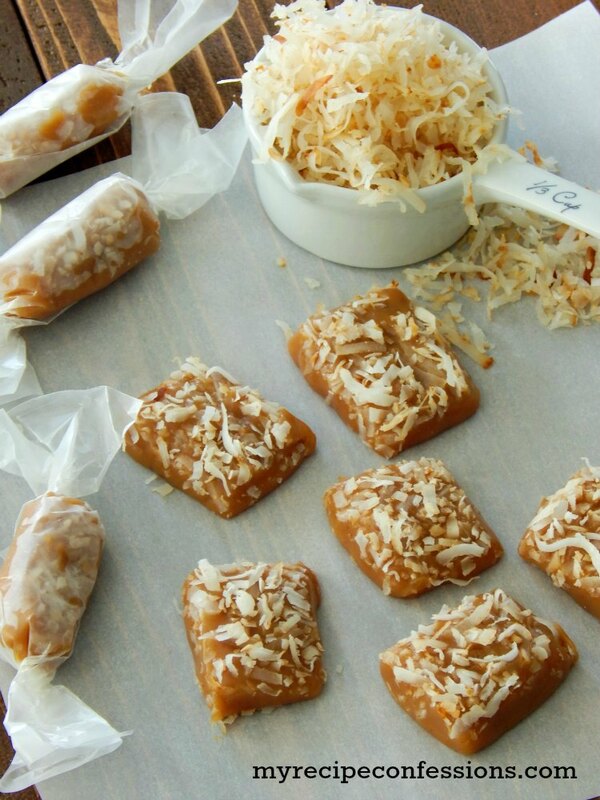 Coconut and caramel should always be paired together! They are like best friends that only make each other better when they are together. Toasting the coconut really gives it a stronger richer flavor. 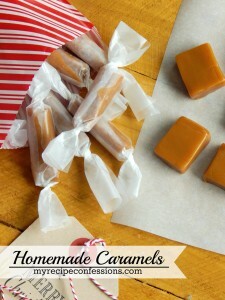 I love switching up traditional recipes at times and this is a flavorful twist to my homemade caramel recipe. I like to let my caramel set up over night. It is not as sticky and it is much easier to handle. 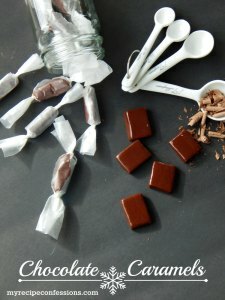 This recipe is one that I plan on making every year from now on. Add the coconut to a skillet over medium-low heat and stir frequently until the coconut flakes begin to brown. Be careful not burn the coconut. The coconut with brown quickly. Allow the coconut to cool completely. Pour cold water into a small bowl. Place the bowl next to the stove with 2 to 3 spoons next to it. Measure all the ingredients and have them ready. Line a 9×13 pan with parchment paper. In a thick bottom sauce pan over medium-high heat, melt the butter. Add the brown sugar, corn syrup, sweetened condensed milk, and salt to the melted butter. Stir until combined. Once the caramel comes to a full rolling boil, set the timer for 7 minutes and whisk it constantly. Check the caramel consistency by placing a spoon into the caramel and then dip it immediately into the cold water. When the caramel forms a soft ball, remove it from the heat, about 7 minutes. Immediately whisk in the coconut extract and heavy cream. 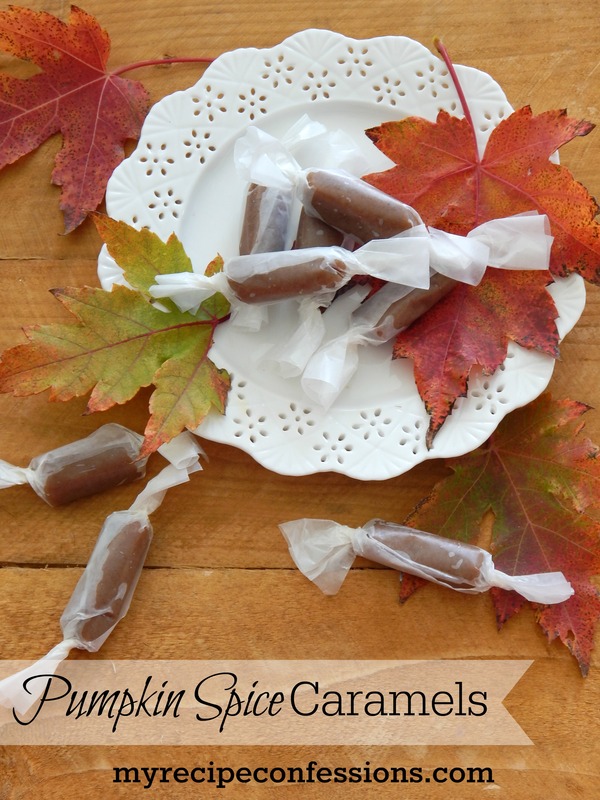 Pour the hot caramel into a parchment paper lined 9×13 pan. Do not scrape the caramel off the bottom of the pan! Allow the caramel to cool for 3 minutes. 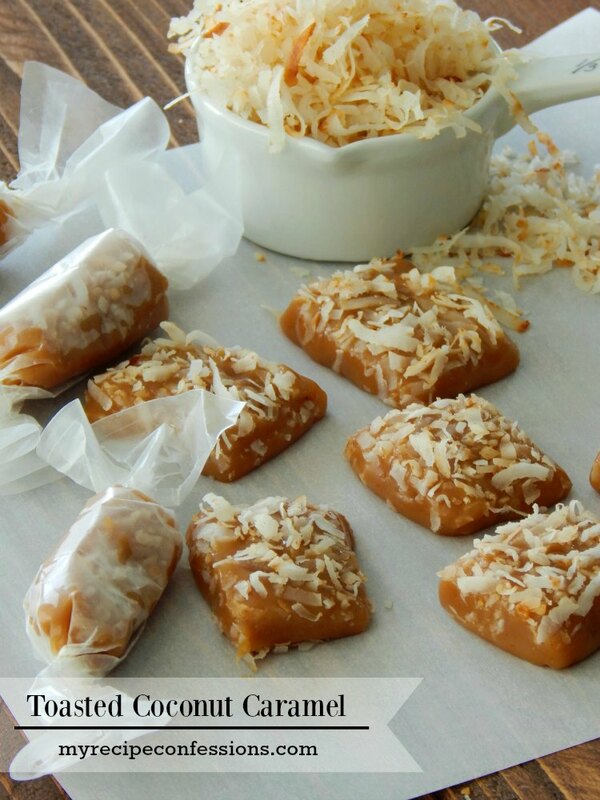 Sprinkle the toasted coconut evenly over the top of the caramel. Wait an additional 5 minutes and place a strip of plastic wrap over the caramel. This will prevent the caramel from forming a skin on top. Allow the caramel to cool down completely. I like to let my caramel set up over night before I cut it. 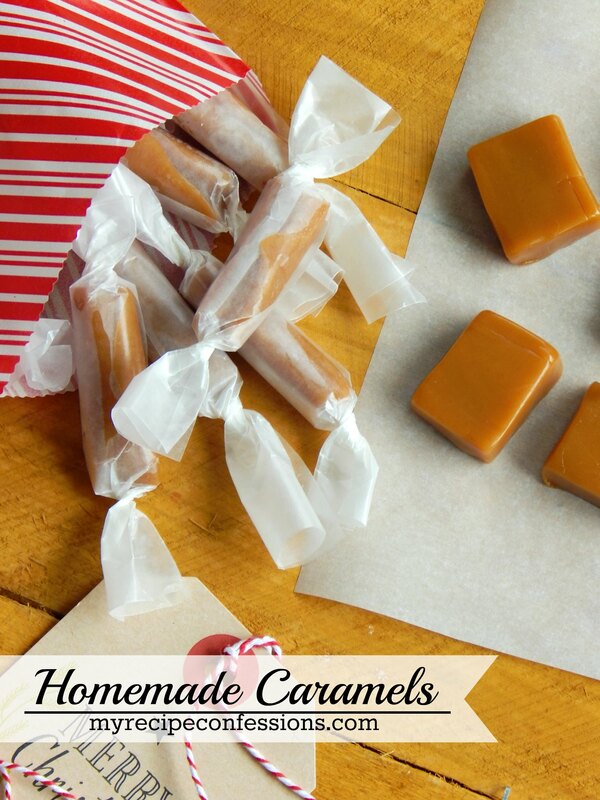 Cut the caramel into 1”x 1” strips. Wrap the caramel in 3”x 5” wax paper strips. Store the caramel in an air tight container. Here are a few other caramel recipes you should try.